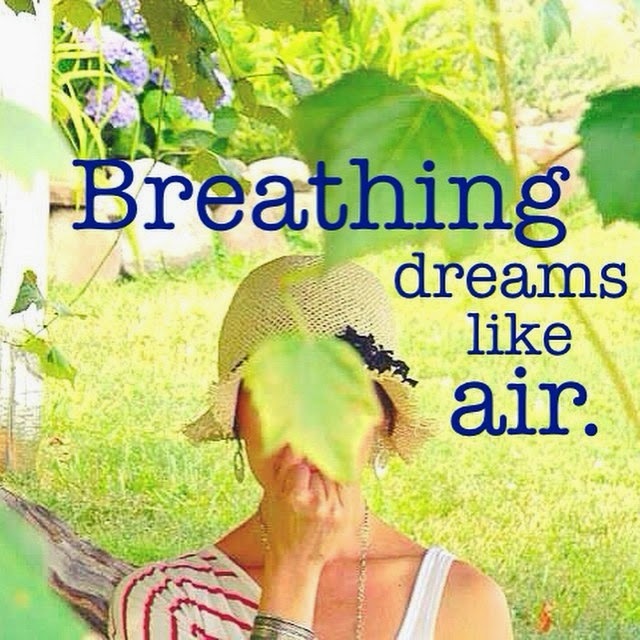 How often do you stop and notice the air? I would say I do quite often with how quick I am to open a window if a room is stuffy or to use the scarf I always have in my bag over my shoulders when I feel a chill. When we notice something as simple as how the air feels against our skin we sit in a mindful moment. Our consciousness then shifts into our next task at hand or to an unfinished conversation that's lingering in our mind. This is normal, our mind is designed to move yet when it moves into race mode or gets stuck on the same thing is when problems like stress, anxiety and more arise. Here's a simple mindfulness exercise you can do where you notice what rides the element of air as a focal point to ease your mind into meditation. Take a moment to sit by an open window or sit outdoors and notice the cloud formations in the sky. After some deep cloud gazing close your eyes and feel how your thoughts became lighter. Smell and breathe in the floral and dewy scents of spring. When you feel a breeze take a deeper inhale in and exhale out. What do you hear? Birds, lawn mowers, kids playing, bees buzzing by? Sit with what you sense floating on the air as your point of focus. Allow whatever thoughts and feelings to come up but as often as you can go back to hearing the birds and wind chimes to slow your mind down. When you're done fill your lungs up with 3 deep breaths and exhale each breath out by drawing your belly in and grounding your seat and feet into the earth. Remember to respect your breath. Great ideas and truths are positioned around them in your consciousness. Practice this meditation as often as you like. It is perfect for summer. You can also join me in connecting deeper to the element of air at my "Need a Break to Breathe? 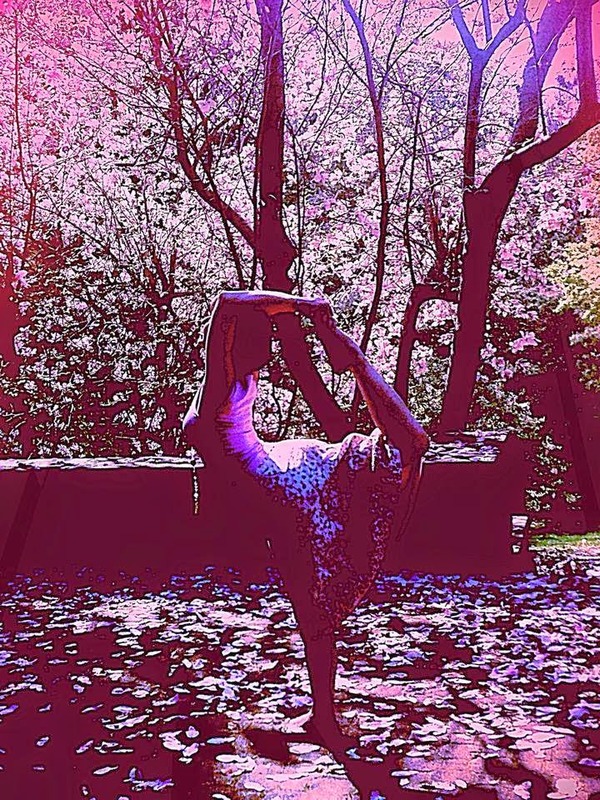 Summer Pranayama Classes" every Friday in June at 1:30pm at www.bamboomovesyoga.com. The month of May has given us a few days that feel like we are sitting in the depths of summer. Feeling summer has encouraged me to reflect on the past 5 months. We started the year being bone chilled cold with snow continuing to fall even on the first official day of spring to the wood element's rising energy reaching to the light making trees and plants blossom and green a little later this spring. Personally I've noticed that I've given birth to a new way of moving through 2015. Currently I'm planting new ideas and I've used this past Monday's new moon to reflect on how I'm feeling and where I'm going with my new approach. Stopping and reflecting is a perfect mode to be in especially today as the sun has entered Gemini, the astrological sign that is symbolically referred to as the twins who are forever reflecting one another. Ground yourself by sitting still and fixing your gaze upon one point in front of you. Watch the wave of your natural breath. When you notice your mind has slowed down, reflect on what thoughts you've planted, greened and possibly already flowered this year. Keep a mental list or take notes. When you're done take three grounding breaths and know that the sun's light is only going to get stronger this summer to ripen what's on your vines to fruit. *Traditional Chinese Medicine suggests winter is dominated by the water element with storms and snow, spring with wood's rising energy to the warming sun's light and summer with the fire element's passionate and cleansing qualities. 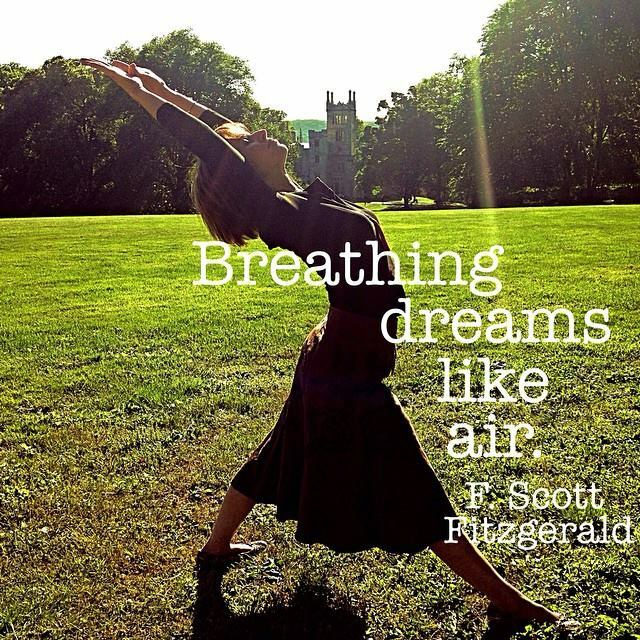 Yoga breathing is a fundamental step in practicing yoga. Pranayama is defined as "control of life force. "There are many benefits to yogic breathing such as a feeling of being calm and centered comes over you along with a lightening of intense emotions plus digestive, heart and reproductive health in addition to improved sleeping patterns are to name a few positive effects of conscious breathing. 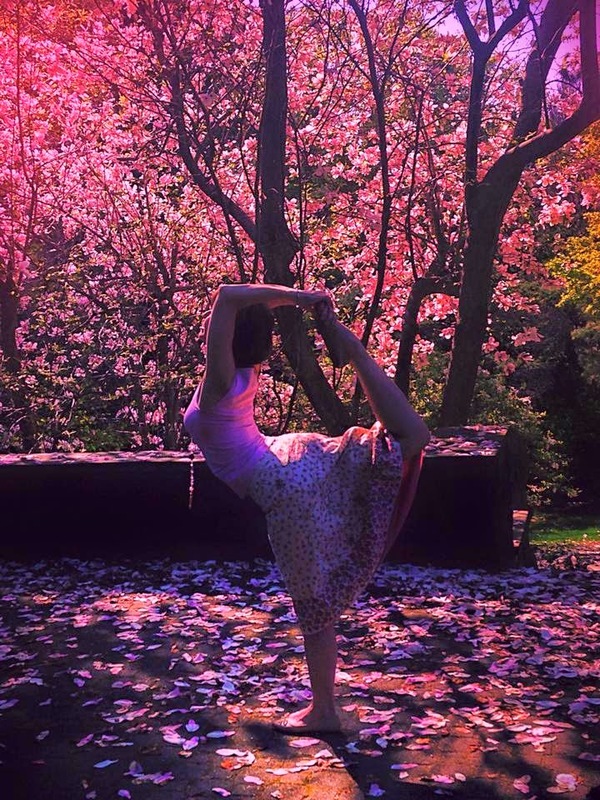 During the month of June I will be leading a special pranayama class every Friday afternoon at 1:30pm for 1hr and 15min at Bamboomoves Yoga in Englewood, New Jersey. Learn and practice how to do a ujjayi breathe with complete mind/body awareness. Be introduced to and practice viloma breath/breath with pauses during session 1, nadi shodhana breath/alternate nostril breathing session 2, kapalabhati breath/shining heating breath session 3 and shitali breath/cooling breath session 4. Practice gentle yoga postures that are appropriate pre pranayama practice. End in restorative yoga postures followed by savasana/final relaxation pose to rejuvenate you for the weekend ahead. Taking out a canvas to paint was like getting a glass of water when I grew up. I'm grateful for my parent's encouragement to be an artist as often as I had time to. This undoubtedly led me to never second guess a creative career and lifestyle. At this stage of my life balancing a family, my yoga teachings and my own personal healing time has caused me to stash away my charcoal and paper. Fortunately I now have Instagram as a quick fix art outlet plus endless art apps to create art in a flash like the pictures shown in this post. As I review what I've been posting over the past year, I'm noticing the joys, inspirations and fears held deep within my consciousness have been given a space to breathe and be seen. I'm loving this realization especially as I notice what I was worried about last fall was a success and what I thought I wanted is not for me. If you're looking to create some form of artistic expression like you once did or never got a chance to, my suggestion is to become still and tune into your belly and notice what your gut wants to do. Once you get a hint then place your hands in prayer pose at the center of your chest and bow your chin in reverence to what you wish to create. At first it may not be easy to truthfully express your artistic vision because fears of being judged can pop up. But trust me after a few rounds of producing what you love, you will never hear the critics again. Rather you will be completely connected to yourself and your environment. Whatever you create be it a garden, flower arrangement, an organized garage or whatever, do it with what you're feeling. Don't make it a project because it then becomes work. Let it flow out of you as your sacred expression meant for you. If anyone else enjoys it, wonderful! 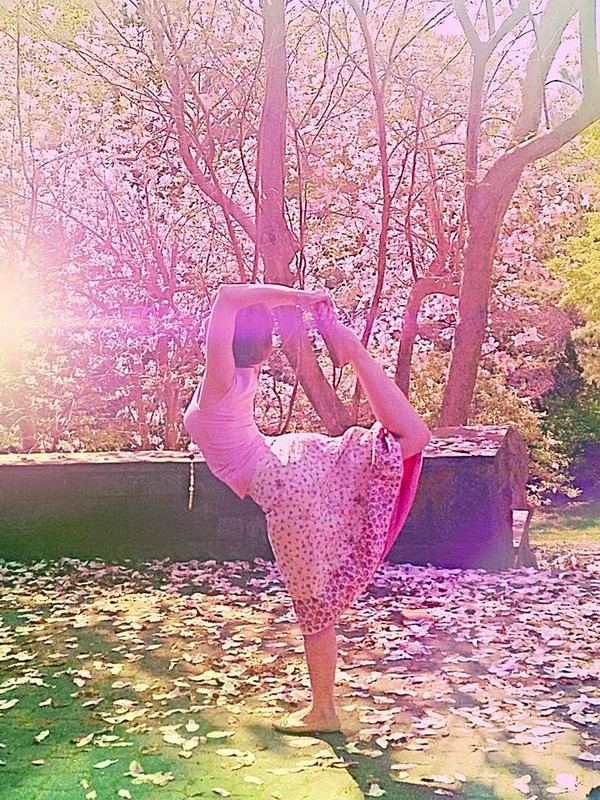 Natarajasana/Lord of the Dance Pose under a pink magnolia tree.